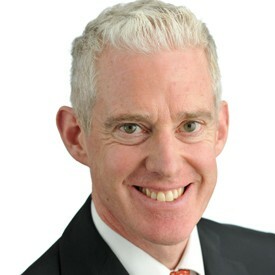 Mike is director of Plan A at the UK retailer Marks & Spencer (M&S). He was part of the small team that developed the company's groundbreaking 100-point, five-year plan to address a wide range of environmental and social issues. As the Fourth Industrial Revolution gathers pace, fusing technologies, disrupting in multiple directions and reinventing business and production models, businesses are faced with a series of conflicting scenarios. There’s both risk and opportunity, global visions and micro local needs and new technologies driving the power of the collective while at the same time fuelling the potential of the individual. These are the tough challenges business leaders face and, unfortunately, there’s no simple ‘either/or’ choice. To be part of a sustainable future there is a compelling need to investment in new tech whilst protecting individuals, to meet new levels of consumer demand whilst reducing resource use and waste and to be an environmentally responsible, transparent business as well as making it easy for customers to play their part. We’ve spent the last 10 years at M&S delivering our Plan A journey to improve our social and environmental performance as a business around climate change, waste, resources, fair partnership and health, delivering in total 296 commitments. And earlier this month we launched a new eco and environmental chapter with a vision of a further 100 improvements and a deeper, richer engagement with our customers and the communities they live in. Critically, in shaping this plan, we have sought the views and attitudes of more than 750,000 customers. We’ve gained insight into their fast-changing lives, making sure we don’t miss a beat and understanding how we can help act as a bridge across global and local sustainability issues. As a result, we understand just how much our customers really care about products and how they are made. But we also understand how much they care about meaningful connections with those around them, the future of the planet we all share and how much they want us to help make it easier for them to make a difference. We know how they feel about injustice, especially at a local community level, and what the issues are that they believe need tackling. We understand that trust must be not just earned, but maintained. The last 10 years has shown us change is possible and that better outcomes can be delivered for customers, communities and the planet alike. The global socio-economic and environmental challenges facing us all are big, and gathering pace. So, our next chapter, fuelled by listening, is big too. We are recognising the importance of partnerships in delivering trust, scale and impact and will be working with organisations that include local authorities, Power to Change, Business In The Community, Neighbourly and a range of local food surplus partners to tackle waste, environment and community challenges head on in 10 pilot UK communities, before expanding to 100, and then sharing learnings with 1,000 by 2025. We know that this is not the time for niche ethical ranges in the corner of a store, but instead for the right threads of sustainable responsibility to run through all our products, all our stores and our entire supply chain. By 2025 every one of our products will have attributes that address key social, ethical and environmental impacts. And on the largest scale, our Global Community Programme will benefit one million people in our supply chain communities by 2025, helping to build livelihoods, protect the environment and improve wellbeing and human rights. Some people will still feel that the problems of the planet are too big, too remote or too difficult for them to influence personally. So we need to do more than ‘tell’, ’share’ and ‘reassure’. We need to keep taking action, inspire belief that change is possible, and make it easy for our customers to get involved. Ultimately we believe we can achieve more together than we can on our own. The fourth industrial revolution needs to be one of partnerships - of people and technology, of communities and individuals. Plan A 2025 is designed with this in mind.